Etching House buy Australian Jasper Knight original paintings, original etchings, and prints. Australian Jasper Knight has developed a strong following over the past few years as a very respected young artist with a great future in the Australian world of art, his original paintings, etchings, limited edition fine art etching prints, collagraph and silkscreen works have all been well sort after and sold out quickly, Etching House has a collection of Jasper Knights fine art etchings and prints in stock. Jasper Knight was born in Sydney in 1978. In 2002-2003 Jasper Knight completed a Master of Arts at the College of Fine Arts, UNSW Sydney. 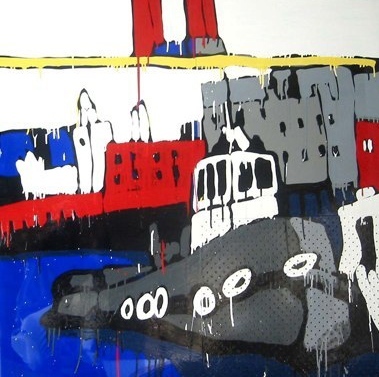 Jasper Knight in 2005, 2006 and 2007 was a finalist in the Archibald Prize and he was also exhibited in the Wynne Prize in 2005 and 2006. 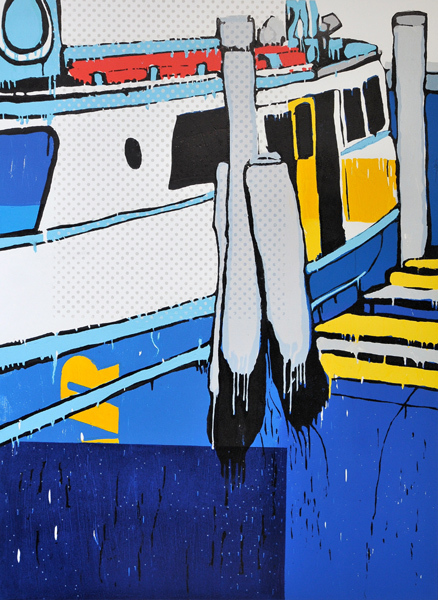 Jasper Knight was awarded an Australia Council New Work grant in 2006 from the Freedman Foundation Scholarship and The Rocks Art Prize. 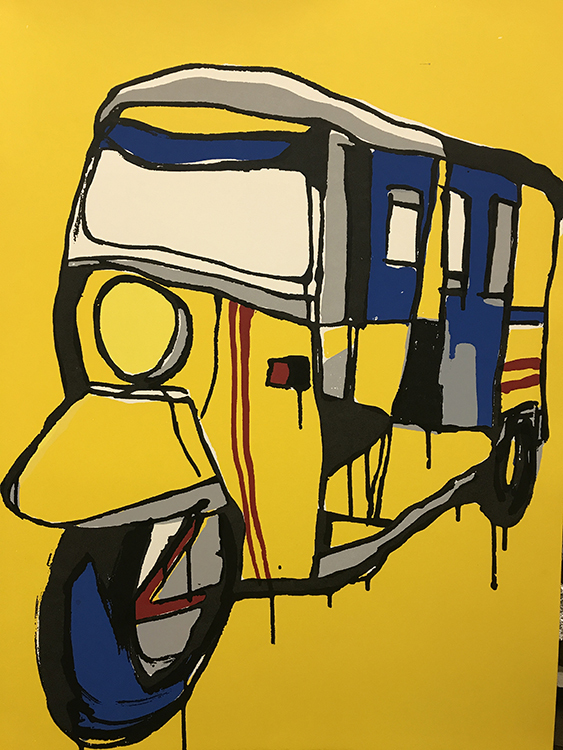 Jasper Knight has also been a finalist in the Blake Prize, the ABN-Amro Prize, the Mosman Art Prize, the Helen Lempriere Prize and the Brett Whiteley Prize and has shown in and organized exhibitions in numerous venues, including every major artist-run space in Sydney. 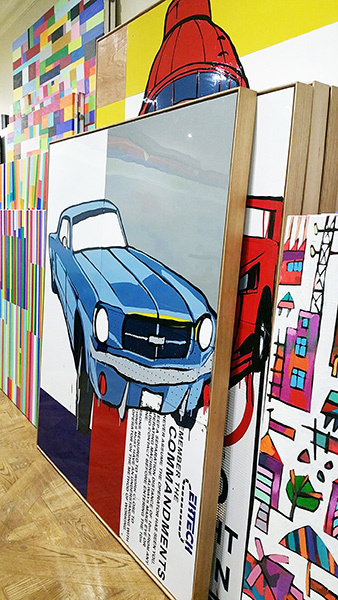 Jasper Knight started the Half Dozen Artist-run Initiatives and it has since shown over 150 artists in four countries. Jasper Knight in 2007 opened Chalk Horse Gallery with the generous support of the Australia Council and the City of Sydney. Jasper had shows in 2007 in Berlin, London (Tidemark, COSA), Melbourne (Metro 5), Perth (Greenhill Gallery) and Sydney. Jasper Knights work was exhibited in Adelaide (Adelaide Festival of Arts Exhibition Feb/March), Brisbane at the Brisbane Art Fair, Sydney and Perth. 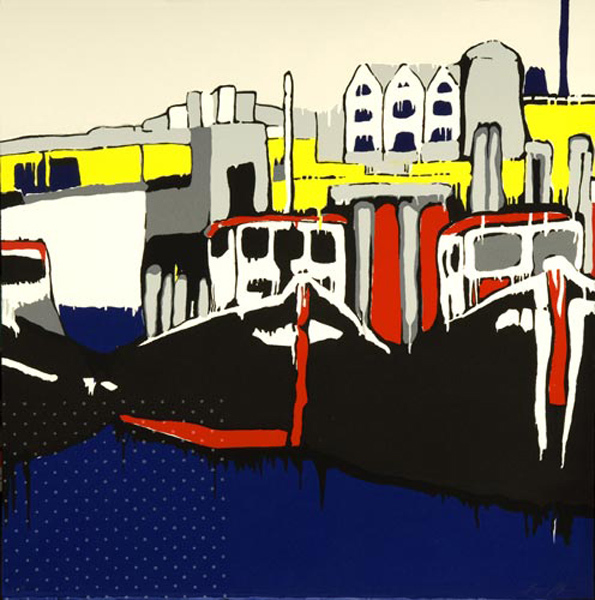 In August 2008 Jasper Knight won the Mosman Art Prize with his painting ‘Wharf with Yellow Palings”. The Mosman Art Prize is on display at Mosman Art Gallery from 2nd August to 31st August 2008. 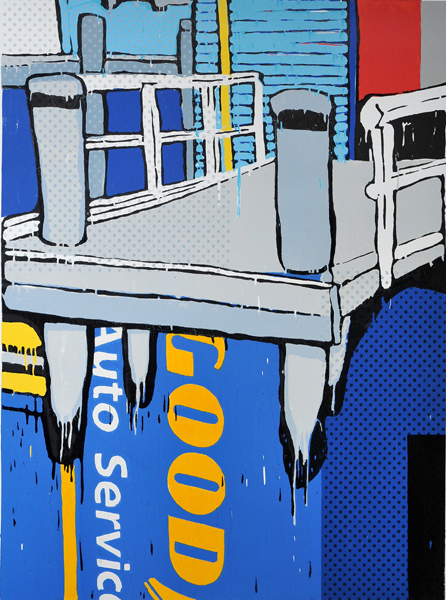 Now valued at $20,000 this is Australia’s longest running and most prestigious municipal art prize. Collections – Sydney Port Authority, The Rocks, Sydney, The Premier’s Office, NSW State Government, Sydney; Random House Australia, Milson’s Point, Sydney; Australian Consulate, Makati, Manila, Philippines; Baker and McKenzie; Various private collections. 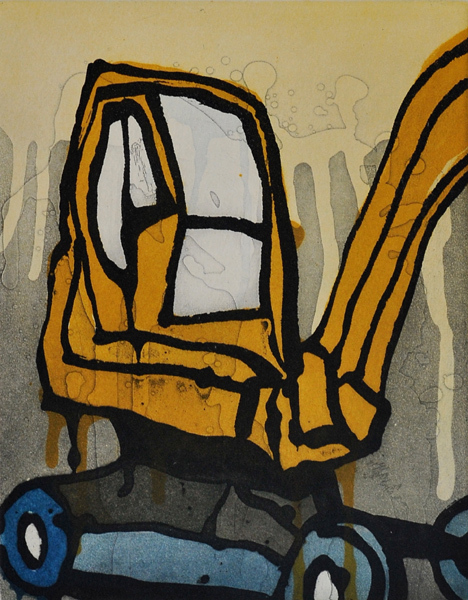 Jasper Knight at Etching House Sydney Weekend Australian Affordable Art Show, stand A 10. Jasper Knight at Etching House Melbourne Weekend Australian Affordable Art Show. Jasper Knight at Etching House Jasper Knight Etchings and prints at Etching House. Japser Knight Fine Art at Etching House. Jasper Knight Palm beach 1 Plam beach 2 in stock at Etching House. Jasper Knight Art For sale at Etching House. 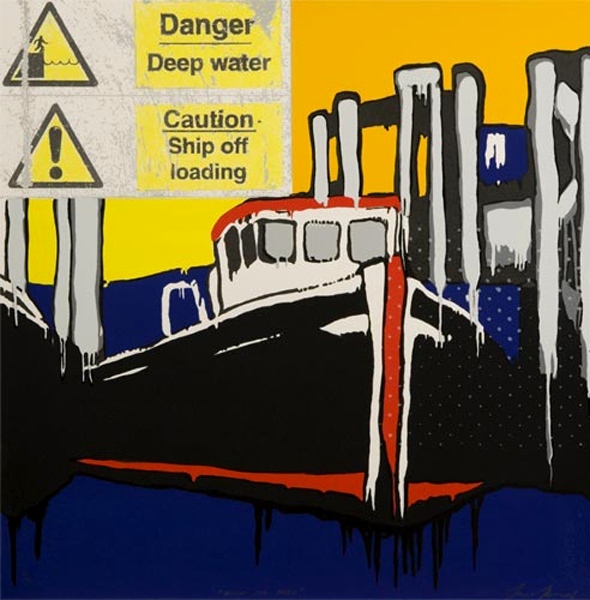 Jasper Knight when in London in 2007 took it upon himself to venture down the River Thames by hiring a Tug Boat, upon this inspirational journey it was clear by days end that this area was a historical working harbour, the source of inspiration inspired him to capture the images by making them as fine art silkscreen works to which he was very pleased with, he felt the interpretation shows contrast strength yet a gentleness of unassuming power, the London sky really makes colour a strong contrasting feature yet shows the softness at the same time. 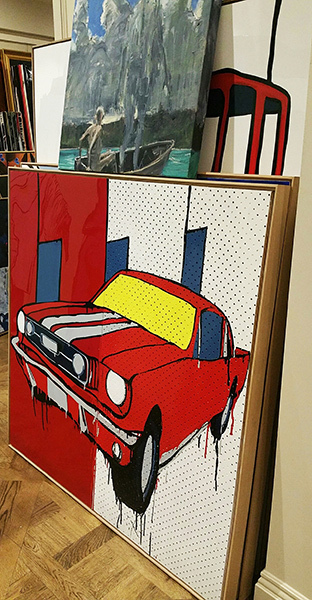 Jasper usually uses a mixed media for his paintings; enamel, Masonite, Perspex, old signs, building materials, anything with an industrial feel. 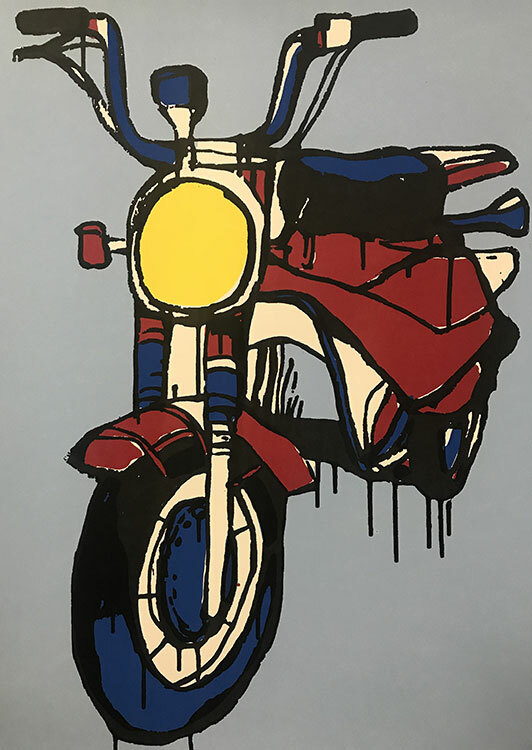 It was an exciting challenge for Jasper to use the different medium of silkscreen for these new works and he was delighted with the result. So are we at Etching House. 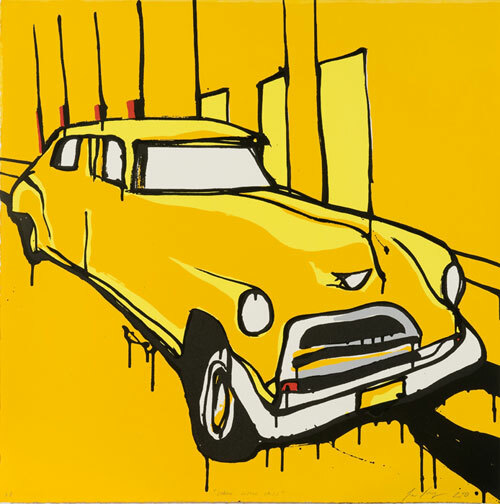 “Cuban Missile Crisis” by Jasper Knight, New, available at Etching House, released (November 11 -2010) this limited edition hand made Silkscreen titled “Cuban Missile Crisis” is limited to 40 only, image size 75cmx75cm, paper size 75cmx75cm. 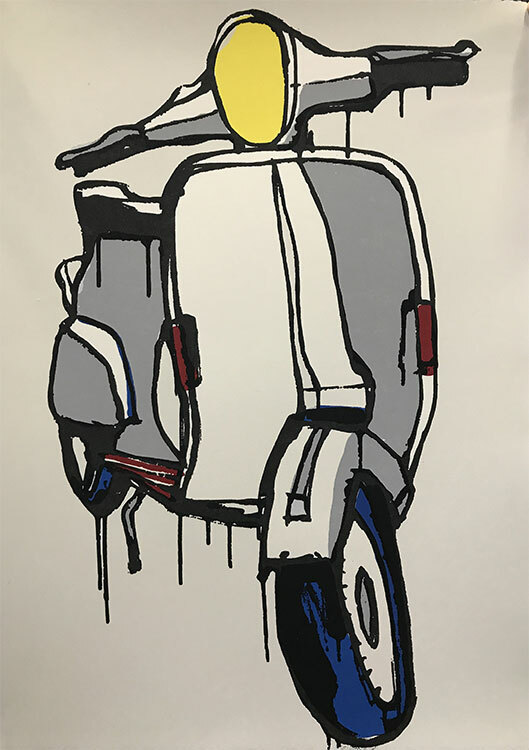 New Silkscreen fine art print by Jasper Knight titled “Scooter”, limited edition of 40 only 6 left at Etching House. Scooter by jasper Knight was released in 2009. Original Fine art by Jasper Knight at Etching House, Lay Buy welcome. Jasper Knight original art works, silkscreens and etching prints at Etching House affordable Melbourne art fair May 2011. Jasper Knight Commission for fine art originalworks Etching House. Australian Jasper Knight “Helicopter wooden sculptor” at Etching House Sydney Fine art affordable art show 2010. Australian Jasper Knight fine art etching and prints marketed and distributed Australia wide by Etching House Fine Art. Etching House specialise in Jasper Knight fine Art limited edition prints and send Australia wide fully insured. 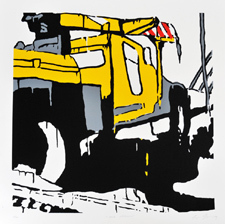 Etching House specialise in Jasper Knight fine art limited edition silkscreen etching prints.